Médecins Sans Frontières (MSF), also known in English as Doctors Without Borders, is an international humanitarian non-governmental organization, best known for its projects in war-torn regions and developing countries affected by endemic diseases. In 2015, over 30,000 personnel—mostly local doctors, nurses and other medical professionals, logistical experts, water and sanitation engineers and administrators—provided medical aid in over 70 countries.The vast majority of staff are volunteers. Doctors without Borders is an organization that invests in ‘the connections with and the commitment of’ former employees', an initiative which needs a technical, digital infrastructure to deliver and maintain. In order to reach their alumni more easily, MSF came up with the idea of an interactive platform with a plethora of functionalities. 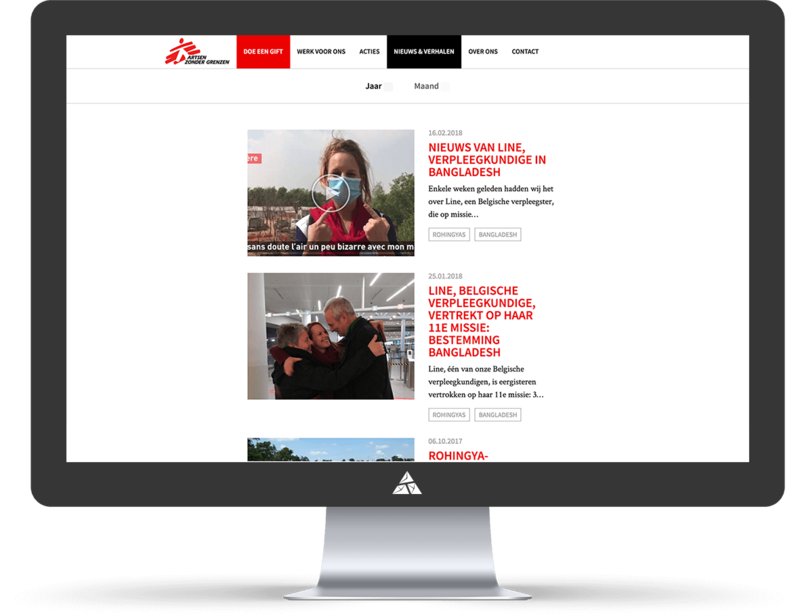 In the past, Wunderkraut, an Appnovation company, had already built a future-proof website for MSF, using Drupal 8. The site focuses on the delivery of an optimised user experience, with a modern look and feel. 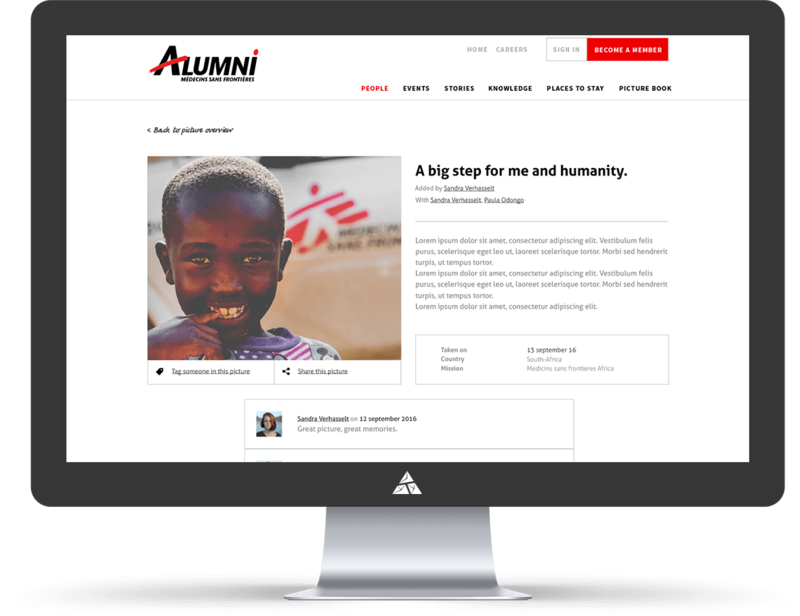 With this positive history on which to draw, MSF also entrusted Wunderkraut with the development and delivery of their alumni site. The challenge for this project was essentially two-fold: provide a medium to create an organised Alumni directory on the one hand, and a site aimed at sharing a maximum of information with each other, on the other. MSF Belgium had organised focus groups to find out what former employees would be interested in, and what would motivate them to stay in touch. Using these valuable insights, our team worked out a conceptual proposal for the platform including look and feel, layout design, features and wireframes. We then built the platform in Drupal 8. The homepage is accessible to the public in general, but users who want to look further have to log in. Alumni must fill in a registration form providing a maximum of information about their position, address, etc. It will allow other alumni and MSF to collect information from the directory, subject to the approval of the former employee in question. Furthermore, the platform is also intended to share expertise and stories, submit topics, conduct active conversations and stay informed about events and jobs. There is also a functionality to offer or search accommodation within the social network. You cannot simply register and actively participate. The alumni site is administered by a community manager who carefully monitors the system. Every user who registers will get access after approval. To this end we developed a flow and authorisation page for the community manager. It gives a clear overview of the contributions, events, jobs, etc. which the alumni wish to post. They go ‘live’ after authorisation of the community manager who will facilitate the user commitment especially at the beginning until there are enough active users. It is a social platform, so there is integration with Facebook and LinkedIn to increase the scope. We also made sure that the database of the MSF vacancies is also available on the platform. Alumni cannot only look at internal vacancies, but can also announce jobs within their current organisation. An extension of the original concept is an online photo book with photos from the alumni. 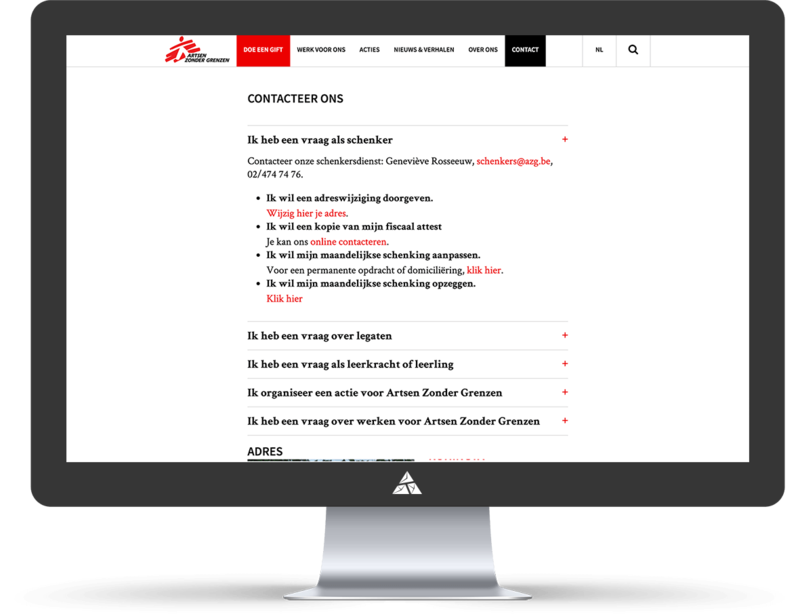 This required a prior exercise of information architecture, in which MSF helped to determine the content categories and communication towards users. We want to encourage alumni to share photos in the album, for example. This will probably bring memories to many people of the special times with MSF. The platform will continue to evolve and aims to be the top of mind medium for alumni to share knowledge and information with the community. Wunderkraut values this renewed collaboration with MSF. MSF’s mission is completely in line with our DNA. We strongly believe in their projects and hope to be able to contribute to a strong MSF community by doing what we do best. We will make every endeavour to follow up the platform and to take it to the next level.